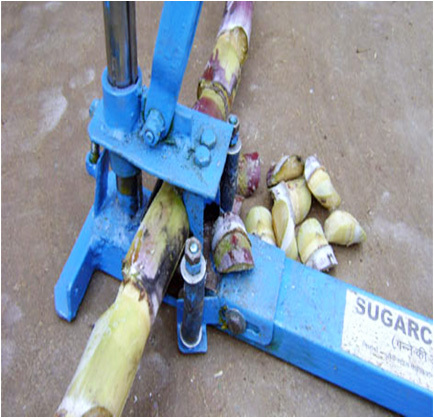 Device to cut buds from sugarcane developed by R Vishwakarma..
Chipped bus can be sown directly in the field or grow in nursery. One can chip 250-400 buds/hour. Price Rs 1500 per unit.